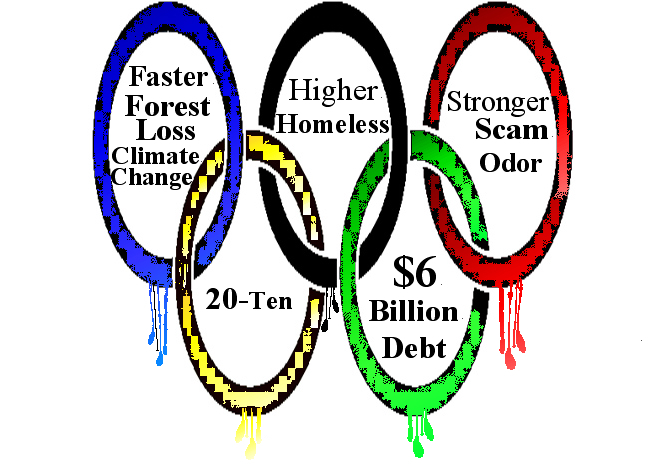 "Only those who want their hometowns bankrupted, militarized and flattened should pine for the Olympic Games". The Vancouver 2010 Games "will not cost the city a single cent". on behalf of Jack Poole, David Podmore, the Campbell twins - Larry and Gordo. At the international level, sport is frankly mimic warfare. 2500 , 1500 , 250 , ?? ?